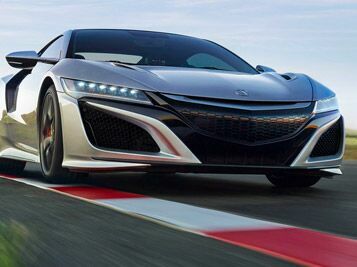 Acura titles the 2019 Acura NSX not as a sports car, but as a supercar. While this initially might seem a bit flamboyant and overindulgent, learning more about the 2019 Acura NSX proves that this model more than meets the expectations of its moniker. Therefore, allow us to introduce you to the 2019 Acura NXS supercar. Truly, the 2019 Acura NSX is the first of its kind. In terms of appearance, engineering, performance, and more, this Acura supercar celebrates many firsts within the automotive world. We welcome the opportunity to share with you the wonders that lay present. So, we shall give you a first look, hopefully much to your liking, of the 2019 Acura NSX supercar. 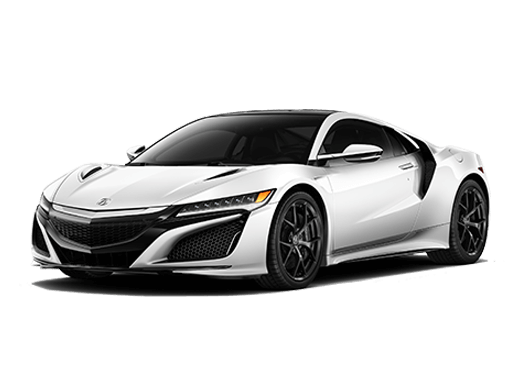 An appetizer to what the 2019 Acura NSX provides in terms of power, its hybrid power unit produces 573 horsepower. Engine power on its own comes from a 3.5L V6 engine that produces 500 horsepower and 406 lb-ft. Tempered by electric torque and controlled with a race-ready 9-speed dual-clutch transmission, shifting is smooth and perfectly synchronized. All in all, this electric supercar is a new wave of the future! Power is nothing if it can’t be applied to create an entertaining and engaging driving experience. Luckily, the 2019 Acura NSX is anything but mundane. 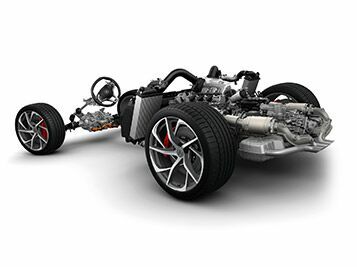 Every input is fluid, providing tight and optimal responsiveness on the road. 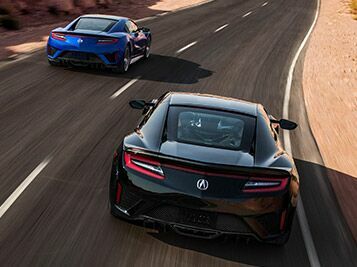 To those who love driving, the 2019 Acura NSX provide confidence and clarity through Sport Hybrid Super Handling All-Wheel Drive™, Dynamic Mode selection, high-performance Brembo® brakes with regenerative braking, and more! We can definitely say that the 2019 Acura NSX looks sharp in that its exterior aesthetics are striking and captivating to passersby. However, in terms of its actual design, the form of the 2019 Acura NSX favors graceful lines that produce more slopes and curves rather than the sharp look of sudden cliffs and edges. This design philosophy creates a unique and aerodynamic build that’s incredibly appealing as well as efficient in terms of airflow performance. 1 Based on 2019 EPA mileage ratings. Use for comparison purposes only. Your actual mileage will vary, depending on how you drive and maintain your vehicle, driving conditions, battery pack age/condition (hybrid only) and other factors. 2 When available, prices shown are dealer-suggested retail price. Actual costs, labor rates and installation times may vary by dealer and region, etc. Dealers are free to set their own selling prices and/or labor rates. Prices exclude applicable taxes, title, registration, license, and documentary fees. Prices shown do not include a destination & handling charge, taxes or license. Destination charges for ILX, TLX and RLX is $995.00, NSX is $1800.00 and MDX and RDX is $995.00. Actual vehicles/accessory costs, labor and installation vary. Please consult your selected dealer..